The Irwin Lounge has been operating successfully for the last eight years, providing nutritional support, life skills training, and social skills assistance to children between grades 1 and 8. Once located in a portable building outside of the school, the Lounge has recently been re-located to its new home within the school itself. Children that participate in the Irwin Lounge have the opportunity to participate in many different field trips, and enjoy the different guest speakers that come into the lounge. A qualified staff person that is always available to the students as a neutral/safe person that they can always go to operates the Irwin Lounge, to discuss any issues that life presents them. 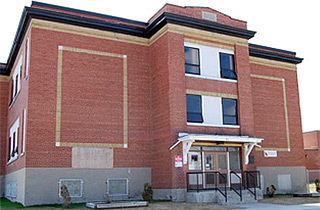 Schumacher Public School in Timmins, Ontario is the second program funded through Shania Kids Can. The Clubhouse operates every day of the week. Teachers, and school administration identify children involved in the program as students needing extra assistance with social skill development, life skills, and nutritional support. The Clubhouse is located in a classroom on the lower level of the school and is equipped with many different games to encourage academic development, social interaction, and life skills training. The students also learn how to prepare nutritious snacks. The Clubhouse is run by a qualified staff person that is always available to the students as a neutral/safe person they can go to with any issues that life may present them with. 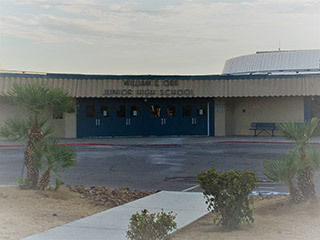 ORR Middle School is located in Las Vegas about 10 minutes from downtown and the Las Vegas Strip. Each year about 1,000 students from very diverse backgrounds are served. About 32% of the student body speaks a primary language other than English. Of this group 22 different languages are spoken. The vision at ORR is to provide high quality education, social and emotional support and a positive learning environment for children in grades six through eight. At ORR the mission is to provide our community with rigorous instruction, relevant curriculum, and engaging classrooms. The transition to middle school can be very challenging for students because the structure of middle school is so different than elementary school. For students facing food or home insecurity, or lack access to medical or dental care, this transition can be an even greater challenge. We will use support from Shania Kids Can to help create a bridge program for grade six students who face some of the most significant challenges in fully participating in their education. Our goal is to ensure that these students receive the additional support they need so they to transition to high school on track to graduate. The brightly decorated SKC Clubhouse at Catherine Nichols Gunn School provides academic, nutritional, therapeutic and extra-curricular support to the students in the program. The Clubhouse has been established by a partnership with Shania Kids Can, the Dilawri Foundation and the Calgary Board of Education. 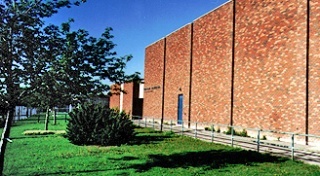 Sir Winston Churchill Public School is a kindergarten to grade 8 school with approximately 500 students. Our mission is, “Supporting Student Success” as we work daily at the four R’s: building positive Relationships, being Respectful, taking full Responsibility as we achieve positive measurable improvement in our academic Results! Sir Winston Churchill bulldogs are known for being great because of three simple reasons: our families, our staff and of course, our students who are great! Sir Winston Churchill is a fantastic school that is always improving and is best known in the Central Peel area as being a true community-minded school for our students and their families. 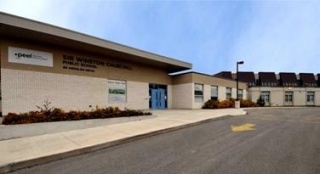 Here at Sir Winston Churchill we are a Silver Ontario EcoSchool, have the Shania Kids Can Clubhouse, work with the Iron Joan and Iron John community programs, P.A.L.S., Diversity Club and also work with the Boys and Girls Club of Brampton and the Y.M.C.A. of Brampton. We have more teams and clubs than can be listed. Our school has a Child and Family Learning Centre for parents/guardians and their child 0-4 years of age. At Sir Winston Churchill we make breakfast for over 50 students a day in our breakfast club, have a snack program and an in school clothing store for our community. In short, Sir Winston Churchill is the heartbeat of the community we serve. The goal of Hjorth Road Elementary is to enable learners to develop responsible life, citizenship and academic skills within a safe, caring environment in partnership with the community. 2 parking lots: 1 in the west from 146 Street and another in the east from 148 Street. 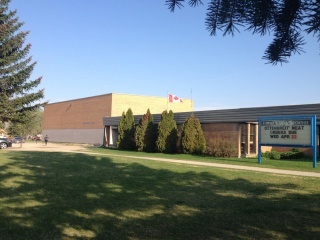 Judge Bryant School is located in Glencairn Village on 2828 Dewdney Avenue East in Regina, Saskatchewan. 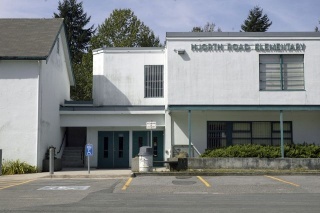 In the fall of 2008, Stewart Russell merged with the Judge Bryant School community. The population of Judge Bryant School is approximately 440 students with 30 staff. Specific programming includes 0.5 English as an Additional Language Teacher, 1.0 Pre-Kindergarten Teacher, 1.0 Early Reading Intervention Teacher, a Speech and Language Pathologist, a School Counselor, and 2.0 Learning Resource Teachers. Although there is no nutritionist at our school, we serve a daily breakfast and have bagged lunches for students who come to school without food. Judge Bryant School is a reflection of Regina’s changing demographic. There are students native to Regina along with students who have emigrated from Iran, Sudan, China, Germany, Somalia and other countries. Many are connected to reserves that are located outside the city of Regina (Standing Buffalo, Piapot, Carry the Kettle). Our school community has a diverse socio-economic demographic, many language group and faith groups. Together we learn and grow as Canadians in a community that seeks to be peaceful and co operative.